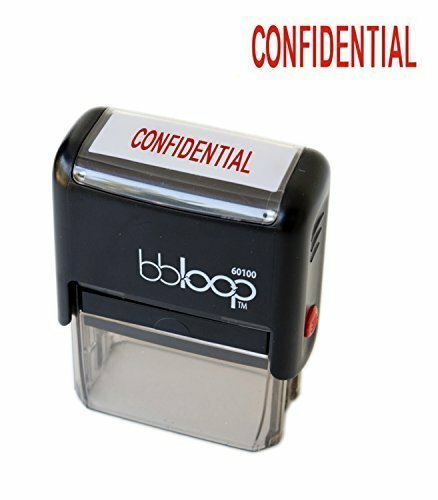 Ensure efficient communication and provide clear instructions with the use of this CONFIDENTIAL self-inking rubber stamp. This stamp is ideal for rapid, repetitive stamping because the die automatically re-inks itself by rotating into a self-contained two-sided reversible ink pad. Ordinary ink pads offer a certain number of impressions before they begin to fade. When this happens, the pad needs to be re-inked or replaced. Not so with a reversible pad. When the impression begins to fade, simply slide the pad out, flip it over, and reinsert to instantly double the life! For more than forty years U.S. Stamp & Sign has led the industry with a steadily growing list of innovative identification products. Their wide range of offerings include top quality stamps, business stationery, custom signage and much more for the home, office and small business markets. As the inventor of pad-free stamps, U.S. Stamp & Sign has helped both small and large businesses by providing easy-to-use products at an affordable price. Get your message across with a crisp, clean impression from the U.S. Stamp & Sign Stamp-Ever Pre-Inked Message Stamp. Ink is molded directly into the die so a separate stamp pad is not required. The soft-touch grip makes the stamp comfortable to use while the flip-open lid keeps you and your work area clean. This pre-inked stamp provides up to 50,000 impressions before needing to be re-inked. 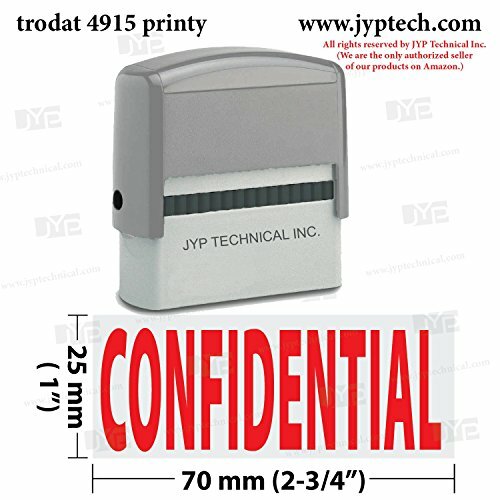 The stamp impression size measures 9/16 x 1-11/16 inches. U.S. Stamp & Sign is proud to provide the professional tools to maximize everyday communication. 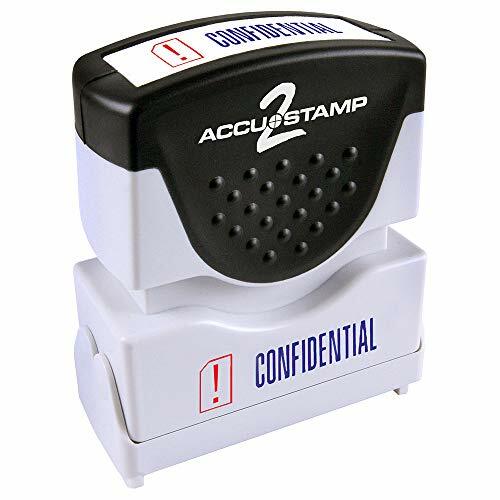 ACCU-STAMP2 two-color pre-ink stamp features a unique shutter mechanism that allows for one-handed operation and keeps your stamp free of dust and debris. Stamp also features a soft-touch ergonomic handle. This pre-ink stamp prints thousands of vibrant red and blue 1-5/8" x 1/2" impressions before re-inking. For best results, re-ink with ACCU-STAMP Pre-Ink Refill Ink. Red ink CONFIDENTIAL Title Stamp is pre-inked for 100,000 impressions and re-inkable for 100,000 more, again and again. Patented cellular inking process delivers clean, consistent impressions. Retractable frame keeps stamp surface away from desktop until ready to use. Impression size is 1/2" x 1-5/8". Pre-inked stamp contains a high percentage of recycled material. This image is ideal for applying to sensitive documentation that affects personnel within the company. Visibly mark the folder, paperwork or envelopes letting everyone know the status and how it should be handled within the department. 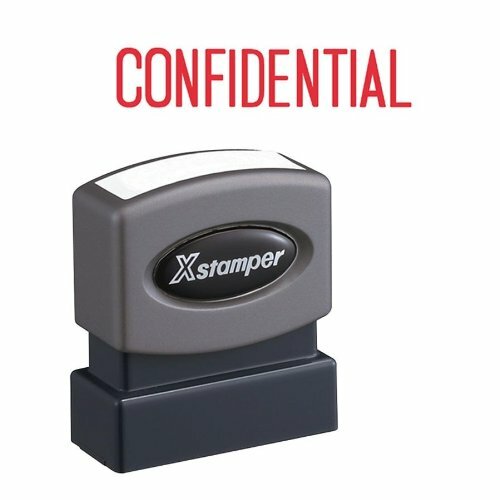 This practical Slim Pre-Inked stamp displays the "Confidential" message in a professional quality format, as shown in the picture, allowing your office personnel to quickly and efficiently stamp multiple financial, legal and miscellaneous documents in a timely fashion. 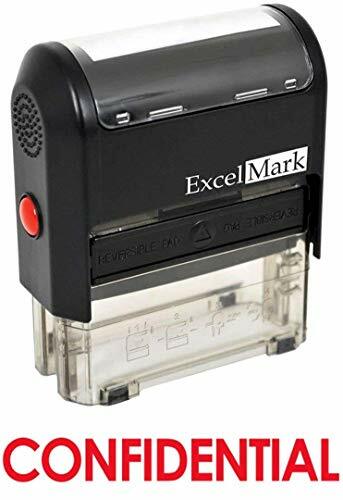 Available rubber stamp size is 1-13/16" tall by 2-1/2" wide with your selection of 7 ink colors and the ability to re-ink when they finally run out from hundreds of applications! 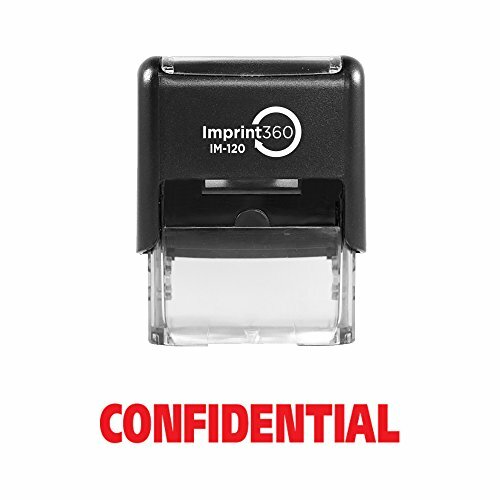 Imprint 360 your #1 source for quality business products specializing in stamps and signs CONFIDENTIAL,, Premium Self-Inking Rubber Stamp • Imprint 360 Part No. 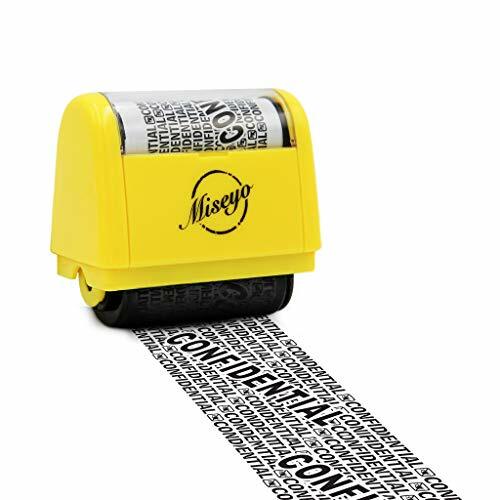 AS-IMP1002 • 9/16" x 1-1/2" Impression Size • Commercial Quality• Clear base allow for precise alignment of stamp to your work •The stablizing rubber feet keep the stamp more stable than most to virtually eliminater slips and miss stamps • Laser Engraved rubber for Clean, Precise Imprints • Makes approximately 5,000 impressions before needing to be re-inked Self-inking stamps have an integrated stamp pad so a separate stamp pad is not required. The stamp mechanically re-inks itself after every impression by retracting the rubber plate and resting it on the ink pad. 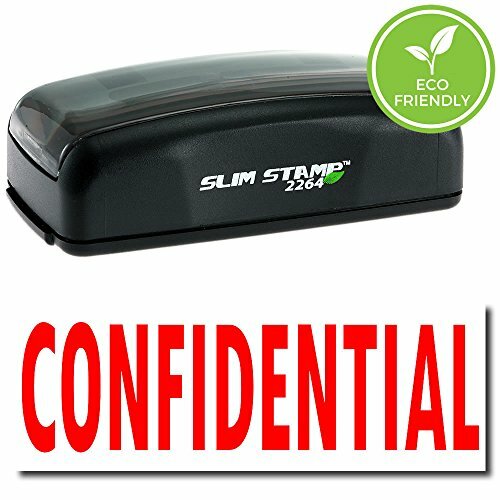 Self-inking stamps are the most popular because of their high quality and moderate price. These stamps are ideal for quick, repetitive stamping, giving thousands of impressions. Max. Text Plate Size: 1" x 2-3/4" (25 mm x 70 mm), Large Size and Strong Body, Red Ink Color,Clean and Precise Imprints Long-Lasted Ink Cartridge. Easy, Fast, Unlimited Refill. Elegant and Comfortable Handle Design. 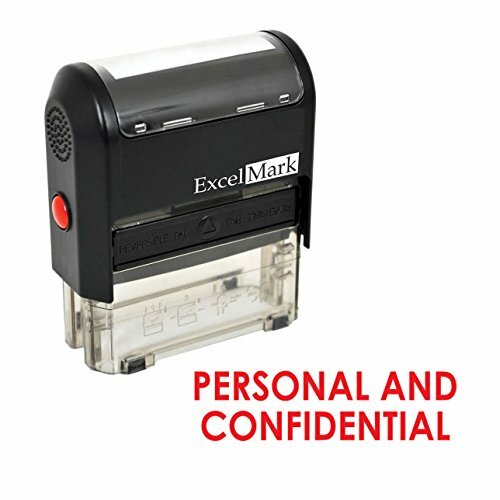 Ensure efficient communication and provide clear instructions with the use of this PERSONAL AND CONFIDENTIAL self-inking rubber stamp. 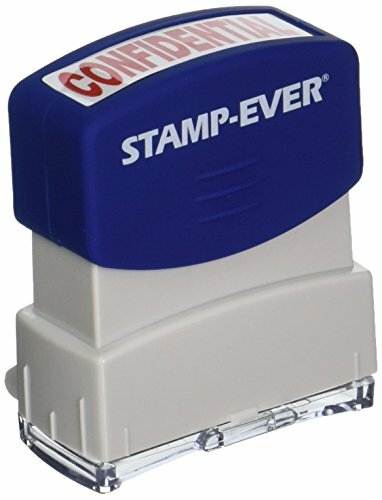 This stamp is ideal for rapid, repetitive stamping because the die automatically re-inks itself by rotating into a self-contained two-sided reversible ink pad. Ordinary ink pads offer a certain number of impressions before they begin to fade. When this happens, the pad needs to be re-inked or replaced. Not so with a reversible pad. When the impression begins to fade, simply slide the pad out, flip it over, and reinsert to instantly double the life!